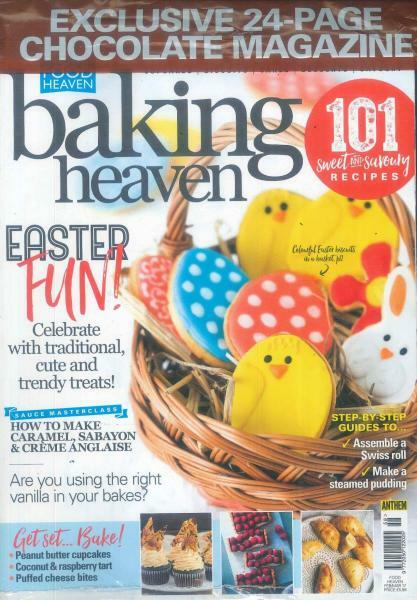 Baking Heaven is a bimonthly baking magazine, it includes 75-100 mouthwatering recipes in every issue, step by step instructions for both sweet and savoury dishes. Buy a single copy or subscription to Baking Heaven magazine. Baking Heaven offers step-by-step techniques from making pastry, decorating cupcakes and perfecting the art of macaroons. Interviews, colourful photographs and helpful hints.